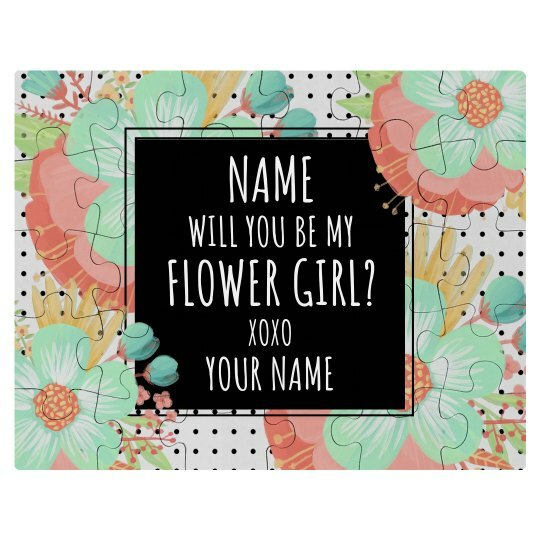 Will you be my flower girl? 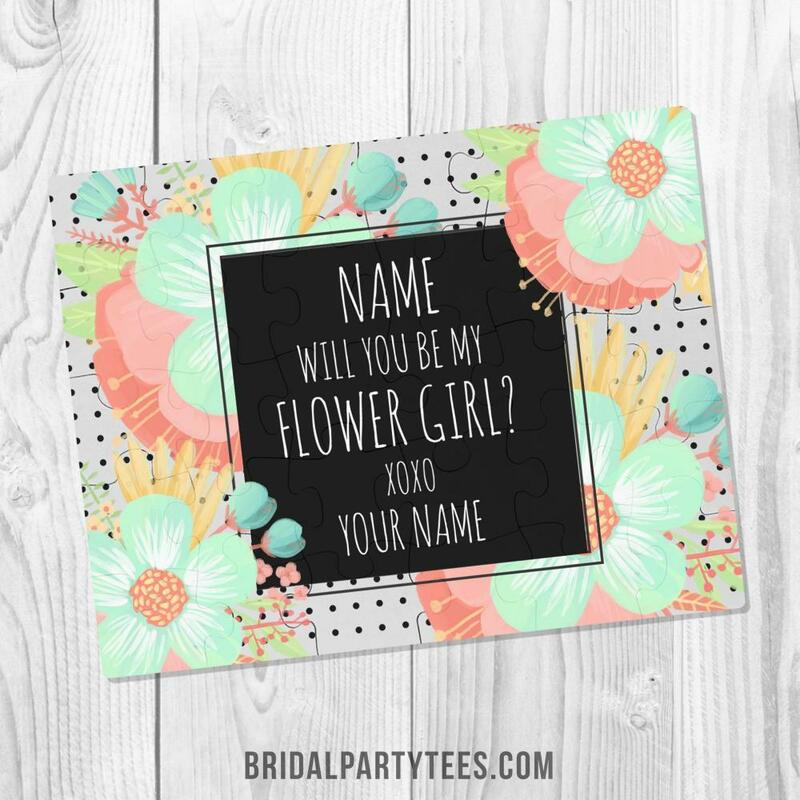 Ask your little bff to be in your wedding with this adorable, floral puzzle set! Customize it by adding her name and yours to give it a special feel.